Great to have you guys back! 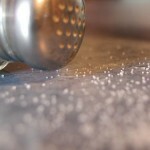 Concerning salt, there is also the sports angle and the importance of maintaining a good balance of salt in the body to assist in hydration. Without sufficient water retention in the body, you can cramp up and salt is woefully ignored as a tool to help stave off cramps. During endurance sports (marathons, triathlons, etc. 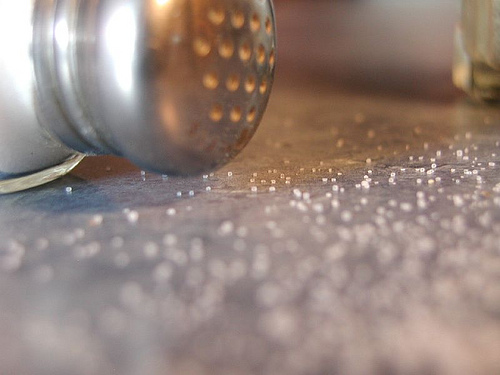 ), many of the best trained competitors will consume some salt during their race, while their cramped-up competition will have ignored salt, especially during hot weather. As a marathon walk coach, I carry a few dozen fast food salt packets with me on race day in case I see someone who is showing signs of dehydration or cramping who has not consumed enough (or any) electrolyte beverage. Upping the salt intake a tiny bit in the meals leading up to a race will also help with the pre-race hydration (you ARE hydrating before a race, right?). Like pretty much anything in life, moderation is the key. I avoid iodized salt because, it breaks out my skin.